A new SpaceX Cargo Capsule made its way to the International Space Station on Wednesday, and allowed a robotic arm controlled by Japanese astronaut Norishige Kanai to grab it and bring it in. 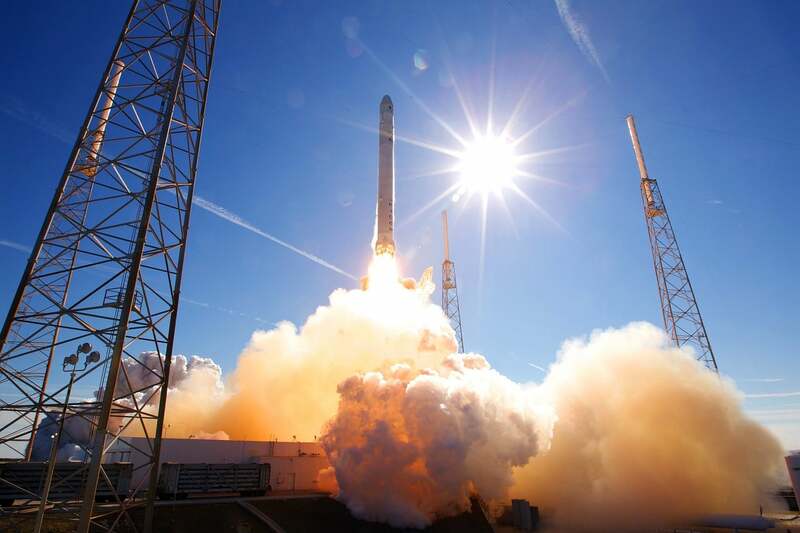 The SpaceX Cargo Capsule that was grabbed by the robotic arm was soaring roughly 250 miles above Africa on the commercial Dragon spacecraft – marking SpaceX’s 14th mission to the research complex, and the second by the same capsule. The fact that the same capsule was able to be used twice is significant in our quest to make space travel more accessible and economical. With how incredibly expensive many of these spacecraft have become, developing technology that is polished to the point that it can return back down to Earth and be used again is a significant achievement – and the SpaceX Cargo Capsule is an excellent example of the company’s commitment to bringing space travel to the private industry while cooperating with the research needs of organizations like NASA. The SpaceX Cargo Capsule took navigation cues from laser ranging and thermal sensors, and was able to approach the space station from below – pausing at pre-determined spots in order to allow ground controllers and station astronauts to ensure the performance was adequate to prepare for a grab by the robotic arm. This was actually Kanai’s first time as a space flier, yet he navigated the SpaceX Cargo Capsule into the ship using the robotic arm with flawless precision – ensnaring the capsule at around 6:40 A.M. EDT with the assistance of ground controllers in Houston and Canada. The Dragon spacecraft took only a day and a half to make the journey from Cape Canaveral aboard the SpaceX Falcon 9 rocket – a rocket that was also previously used as a first stage booster alongside the recycled SpaceX Cargo Capsule. As mentioned above, this is the 14th time that a SpaceX supply ship has made the trek to the International Space Station – with the SpaceX cargo mission under a more than $2 billion contract with NASA. It’s clear that the assistance from SpaceX is mutually beneficial, with NASA getting the SpaceX Cargo Capsule carrying supplies the station desperately needs and SpaceX receiving an influx of cash that might be able to assist Elon Musk’s vision to bring a man to Mars. The SpaceX Cargo Capsule delivered a massive 5836 pounds of cargo and experiments that will keep the station going on research missions that expand our knowledge of outer space. Perhaps most notable among the SpaceX Cargo Capsule’s payload was a robotic testbed satellite that will be released from the International Space Station in the near future in an effort to discover new techniques to capture space junk and move it out of Earth’s orbit. There is a ton of matter in outer space that poses a potential threat to us here on Earth, ranging from asteroids to the crash of the Chinese space station, and having the tools to deal with these threats will be a welcome development. So far we haven’t had any major threats to safety, but being prepared for a potential impact will add a lot of safety and peace of mind to both space agencies and the general public. There were also other experiments included in the SpaceX Cargo Capsule, such as the equipment to study the effects of microgravity on bones – an important obstacle that needs to be overcome if we’re to send astronauts into space for longer periods of time. Also important to our expeditions into space is the ability to grow food, and a new method of delivering nutrients to vegetables grown in space is important both for astronaut nutrition as well as for future space flights.